The Wildcat Dance Team is an outgoing and energetic performance team dedicated to the entertainment of Clarksville High School. 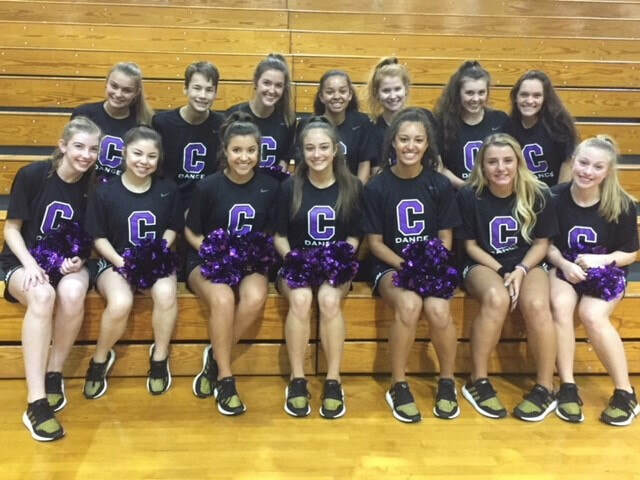 This dynamic group highlights the special talents of CHS students in the area of dance, promotes school spirit by supporting the CHS athletic teams, and enhances the reputation of Clarksville High School throughout the local community. The Wildcat Dance Team is committed to providing quality entertainment in the form of dance to Clarksville High School and the community at large during school related events. Their performances which integrate jazz, hip-hop, and traditional pom moves are choreographed by team members, alumni dancers, and professional dancers and choreographers. You can see the Wildcat Dance Team perform at all CHS football and basketball games, pep rallies, tailgates, and various school wide events.